For hundreds of years before I was there and what I thought would remain for hundreds more, the Quileute as well as the residents of Forks were rugged survivalists, subsisting off the land through an ever-evolving timber industry, fishing, and ecotourism in Olympic National Park. Community members learned from each other, supported each other, and relations between the Quileute people, the National Park Service, and residents of Forks were held in balance by a series of delicately crafted treaties protecting the cultural identity and well-being of each group. Across the region, having a small subsistence farm is common and a freezer to store food for the winter even more common. With just a few acres, wild hunting and gathering can provide a small family with enough salmon, greens, and berries to stock the dinner table daily. Friends of mine living just outside central Forks lived off $2000 annually along with what they could hunt and gather. These families are often officially far below the poverty line, but they are happy. They’ve chosen life in Forks, LaPush, or in the wilderness because of the freedom and a deep appreciation and connection to the rainforests of the Olympic Peninsula, arguably one of America’s last frontiers. The small formal economy of the area depends on money brought in by tourists to the Park in addition to forestry and fisheries. These are tourists, though, who historically shared values with the locals and are there to get a taste of the wilderness lifestyle on their vacation. The things they purchased were rented kayaks, backpacking supplies, park permits and maps, and local traditional art from woodworkers and from the many native groups in the area. My most recent visit to Forks boasted a new group of people beyond the loggers and hikers usually encountered: Twilight fans. These were families following their teenage daughter’s desire to fill Bella’s shoes. They wanted to walk through the halls of Forks High School, find the clearing at the top of the hill where vampires fought werewolves, and own their very own pair of Twilight rain boots. It’s this last desire that has changed the face of Forks. Instead of visiting the area as so many national parks enthusiasts have, taking nothing but a picture, these tourists drive a multimillion dollar industry that has opened the doors to “Forks by Twilight” tours, Twilight gift shops, and unauthorized forays onto sovereign Quileute land. Locals haven’t reaped much benefit of these new enterprises, as the tours and souvenirs are neither authorized by or for the benefit of the community. In fact, Stephanie Meyer probably never stopped to think about the impact of her hit book on the community about which she spun a tangled web of fiction. Arguably, nor could she anticipate the fallout of the Twilight franchise fast enough to put together a tasteful response such as offering the town of Forks and the Quileute Nation the chance to profit off her book. Nor did she feel compelled to give the community from which she’s created an empire any royalties or even credit. 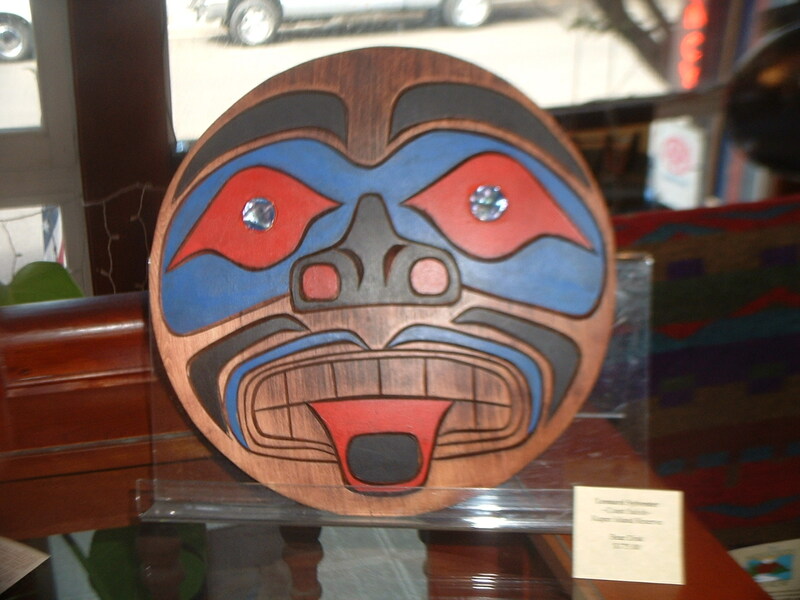 For example, promoting already existing Quileute artists for those looking for an authentic bit of culture to take home? Or letting the Park Service create a “Twilight Trail” that hit the major attractions of the book that would be accessible to newbie hikers? A recent New York Times article describes the problems faced by the Quileute, who would love to bring a bit more cash flow into their community but instead feel like their culture has been commodified and sold without their say. More than that, it’s a bastardized version of their culture that’s been sold, so to a certain degree all they want to do is set the record straight. They just want to let the world know that their people aren’t part werewolf nor are they linked to the white man’s or vampire world so intricately that their mere presence causes drastic transformations. 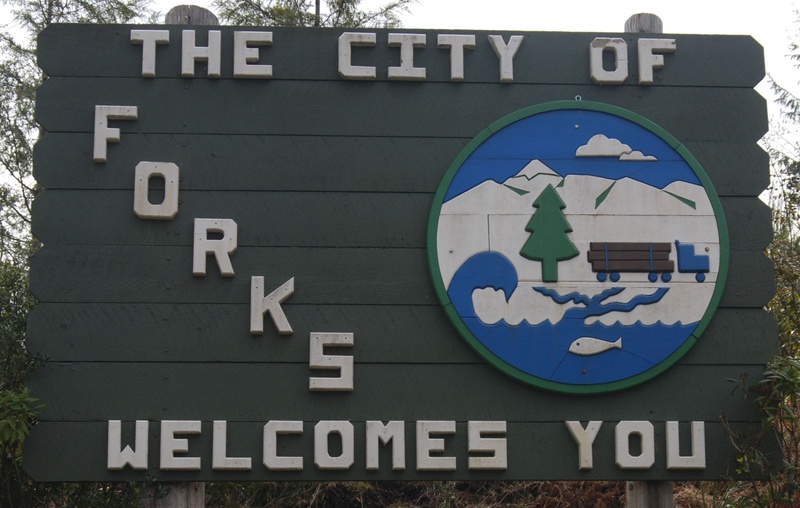 Though the Quileute have much more history and legend to their culture than other Forks residents, the same can be said about the culture of Forks and the Olympic Peninsula. Imagine going to high school where literally hundreds if not thousands of tourists walk through the halls each day just to see where Bella cried? Or imagine trying to keep hikers safe on the trails as a park ranger if the new cohort of tourists are as woefully unprepared for a foray in the woods as Bella? Their cultural identity and way of life has been stolen and sold and no one ever stopped to ask. Wait, are you saying that these people can’t actually turn into wolves to protect humans from vampires? I wonder how many people try to spin this (I spoke to a friend who’s a fan- she said she’s heard of this before a bit and always feels terrible about it) to say that it’s a good thing. As far as money goes, $2,000/year is well below the poverty line, but the way you put it, it sounds like they get on alright, so I’m sure that people (Stephanie Meyer? I don’t know) could make the argument that the extra money in the area is a good thing, failing to take into account the cultural damage. Also, most authors would just make up a tribe of Native Americans. Seriously. What the heck. That’s what makes it so frustrating, though – the author obviously went to a lot of work to get the setting right in these books. 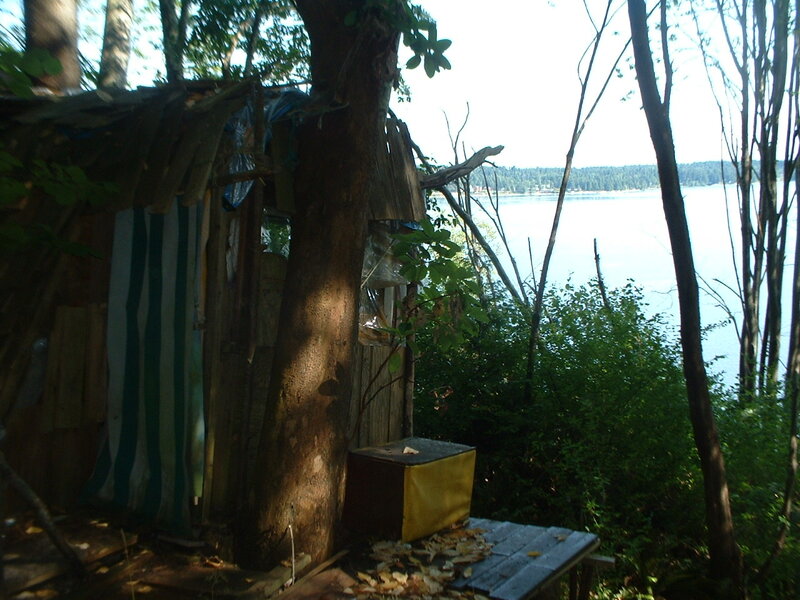 She described La Push very accurately so clearly had spent some time there – but that creates 1) the ethical question of whether she owes them for use of intellectual property and 2) now has some sort of responsibility towards them. For instance, should they not want random MSN vans (a la the NYTimes report) coming onto the rez, is it fair that they have to come up with the resources to guard their land? It’s creating a situation where they were formerly not part of the formal economy but have now been thrust into that not-so-nice world. Oh, and also – the NYTimes also documented that none of the revenue stream has thus far benefited the Quileute. I can vouch that my friends are also out of the fray on those benefits, preferring to stay in their treehouse than face the frenzy of fans. Meyer was simply trying to make her vampire-werewolf romance novel as factually accurate as possible. Interesting story, but hardly unique. Fishing communities and villages find their cultural identity and way of life taken away all the time. What are the ramifications for a culture, for a community, when access to their traditional foods become a memory first and then become a footnote in history? Think “old drum stew.” Maybe the bureaucrats hold public meetings and pretend to listen, but the bottom line is that local knowledge is always dismissed and disregarded. Their cultural identity and way of life has been stolen and sold and no one ever stopped to ask. I was hardly arguing that this is a unique story of a coastal community – in fact, that’s a large component of my dissertation research. More unique is the fact that the area has held out this long, particularly in light of the sovereignty issues between the tribes, Park Service, Forest Service, and local loggers and fishers. Instead of letting these issues make them one of the first coastal communities to fold, it seems to have made them stronger. Until one book came around and upset the balance. Amy, I’m not sure how I feel about blaming the author of a book for something that the author’s readers did. There was no way for Stephanie Meyer to predict how much of an impact her books would have. Agree with Sharks above. She didn’t do anything but write a bad book. If she wants to help the local admins regulate tourism good on her, but she isn’t obligated, and shouldn’t be blamed. Ask anyone whose phone number is 867-5309 whether artist can just run roughshod over other people’s intellectual or cultural property. Culture is capital and it is totally reasonable to request compensation if someone inadvertently reduces your quality of life by usurping your name, customs, and traditions. I recently saw the NYC area code of 867-5309 for sale on eBay, and lots of people were bidding over it. Some people enjoy things like that. That’s not really a very good analogy, seeing as that is a case of a piece of pop culture being commodified, and not someone who already had the number receiving thousands of phone class asking for “Jenny”. What’s going on with the Quileute is that their culture is being appropriated and sold without their consent or input. Sure it may be legal (primarily because we’ve stripped most native American groups of rights to their own cultural legacy) but that doesn’t make it ok.
What you call “running roughshod” and “usurping” I call the progression of art creating culture creating art. Artists – even pop artists like Myer – don’t bastardize or corrupt culture, they assimilate and regurgitate it, sometimes creating entirely new cultural elements. Culture is not, never has been and never will be “property” in the sense that its practitioners are owed reparations when someone happens to incorporate ideas stemming from rituals or folklore. I think ultimately, Myer’s an easy target. This is a small part of a long European tradition of cultural assimilation and I find it a bit difficult to boil it down to a simple value judgement in the vein of “she’s responsible, she should fix it.” It’s not genuine causation and not as cut and dry as it’s being presented and echoed. Thanks for responding and thanks to Amy for linking the Times piece. It was one I missed. While the idea that art create culture creates art is wonderful if you’re an art student, it completely ignores the fact that art doesn’t exist in a vacuum. The idea that we’re “assimilating” another culture’s arts, customs, and traditions to make it better (or even worse, make it ours) is simply the continuation of the long and storied narrative of colonialism and destruction. On one hand, sure, using another cultures customs to create a new way to see the world is part of how art evolves, but the flip side to that is that the ‘assimilation’ of native American cultural icons is part of how we systematically stripped American Indian tribes of their identity. Myers is particularly egregious not because she used a few native American words and symbols and turned them into something new, she didn’t. She simply retold the same tired racist trope of the savage native, in this case making them so savage that they turn into violent, wife-beating wolves. It’s not about being better, worse or wonderful, this is how art progresses and has progressed. It’s a fact that art and culture are tied in the way I stated above; it doesn’t ignore anything. It is what it is. You’re moralizing thousands of years of history and applying simple, generic judgements to situations that are more complex than you’re apparently willing to admit. I’m reading good and bad, black and white, and we both know those sorts of determinations are rarely useful or applicable. I’m not sure what art students have to do with anything, unless you’re trying to insinuate that they are the only ones that should be informed and passionate about art history. I’m not actually moralizing anything, you’ll notice I never said anything about what’s good or bad. As you said, “it is what it is”, art doesn’t exist in a vacuum. Assuming that this is how art progresses and that’s just how it is does a disservice to both art and society. Why shouldn’t we think about the way in colonialist attitudes towards indigenous peoples is reflected in how their iconography is co-opted and assimilated when we reflect on a piece of art? I brought up art students because an art student is going to interpret this issue very differently from an ethnographer or anthropologist. I’m not saying that Stephanie Meyer is responsible for paying royalties or anything – the comments I made were mostly just to get some thoughts spinning about the impacts of the book outside the mainstream comments and I’m willing to bet that she didn’t even think about the impacts she would have on the community. And in terms of cultural capital, that’s a concept that is officially recognized by the UN protection of indigenous rights (yes, not enforceable, but sets a legal precedent hopefully a sign of bigger things to come). When ethnographers work with these communities for archives, historical fiction, etc, it IS common practice to in some way pay for the access to cultural capital. It’s not much, generally what the author or research has to offer, but it’s about recognition of rights. I’m sorry, but encouraging legislation that effectively puts a toll booth between artists, writers and musicians and native folklore and tradition sounds a hell of a lot like thought policing, especially considering that their culture came from their own artists, storytellers and musicians who were influence by other tribes. So it goes. If we applied laws like that retroactively, the internet as we know it wouldn’t exist, and the museums would be largely empty. Hyperbole, I know. Meyer’s sin was inelegance more than anything else. A better writer could have meshed the ideas a bit more effectively, at the very least blurring a direct connection. But if she wants the Native American characters in her book to be what they are, even wife-beating bastards, that’s her right as an author. There should never be any legislation that dictates what an artist can and cannot say in their work. If they cross the line, the public will rebuke them. It’s happened over and over. It’s happening right now. So should we also do away with copyright laws as well? Acknowledging that groups of people have the same right to own their intellectual property as individuals is not the same as thought-police fascism. I’m sure this is not your intent, but you’re talking about native cultures as if they were some sort of resource to be harvested by artists. Andrew: Let’s not bring “fascism” into the conversation. Surely we’ve had enough of that word being thrown around casually from last year’s health care debates. Would an artist interpret the issue differently? Is there a mental transition between an art student and an artist? How about from an ethnography student or anthropology student to graduate students or professionals? How about a firefighter’s perspective or a chef’s? I’m not arguing from the perspective of an art student, because I’m not and never have been an art student. I studied biology and tech writing. This isn’t an argument from discipline and I’m still not sure what art students have to do with anything. …simply the continuation of the long and storied narrative of colonialism and destruction. Assuming that this is how art progresses and that’s just how it is does a disservice to both art and society. …retold the same tired racist trope of the savage native, in this case making them so savage that they turn into violent, wife-beating wolves. Having a hard time figuring out how those statements are not moralizing history. I would particularly enjoy reading an explanation of how my “assumption” (acknowledgement) that colonialism ultimately produced some of our greatest art, writing and music is a “disservice” to society. Like I said, it’s more complicated than just decrying the Europeans for how they treated native peoples along the way. Easy targets. Copyrights protect individuals and businesses from having their specific product or work copied and sold. Copyrights expire for a reason. Beyond that, copyrights have quite obviously not stopped the flow of information in this age, they just protect a person’s financial benefit from a work or product. So, no, I’m not suggesting we do away with copyrights. I’m questioning whether folklore deserves this sort of treatment. Art doesn’t exist in a vacuum. It affects and is affected. But that can be said about anything. There isn’t really any content in that statement. Road bumps don’t exist in a vacuum. This comment doesn’t exist in a vacuum. Culture doesn’t exist in a vacuum. Things put in/on/around/with/above/through other things affect things. Information in general is a resource. It’s usually not so much harvested as it is absorbed. Influences are not always tangible or immediately apparent. Meyer didn’t sit with the tribe’s administrators and take notes. As I said above, she was foolish for using specifics, but she isn’t to blame for what’s happened. I’m not sure anyone that can be blamed for the way native people have been treated historically. That’s really what I’m trying to get at here. Nor did she feel compelled to give the community from which she’s created an empire any royalties or even credit. That is indeed what you said in the post, and what made me originally respond. Her “empire”, her story, was created with her own hands and mind. Twilight isn’t about the Quileute. It’s about angsty teens, vampires and werewolves. Authors don’t have a responsibility to turn every book that has real world connections into an educational experience. I get the gist here, I really do. I know what you guys are saying and in general, I agree. They should be considered if works are focused on their culture. But I wonder where the line is drawn between folklore and intellectual property and if this kind of special treatment is actually helping or harming these communities in the long run. The idea that we’re “assimilating” another culture’s arts, customs, and traditions to make it better (or even worse, make it ours) is simply the continuation of the long and storied narrative of colonialism and destruction. That’s just a flat truth. The history of colonialism, especially in North America involves both the assimilation of some aspects of native culture and the destruction of others. It continues today. Some good things have come out of this history, some bad things. I personally think it’s arrogant to take a chunk of another culture and claim to have assimilated it as your own, but that’s not a statement of morality. Art evolves in many different ways. I think arguing that “that’s just how it is” ignores the fact that that’s not the only way it is, which is ultimately a disservice. Colonialism, religion, even fascism has produced some truly great works of art. But you wouldn’t watch “Birth of a Nation” without also considering it in terms of the time and culture it was a part of. As for Twilight being racist trope, ok, you got me there. That was a moral judgment. I think this discussion has moved well beyond ‘Twilight’ at this point. I think it’s a mistake to simply regard what we’re talking about as folklore. This is the cultural identity of a group which has already had most of it’s physical and political identity taken away. I think the take home message Amy and I are getting at is -when incorporating the cultural identity of any group into an outsider’s art, tread carefully, tread lightly, and tread respectfully. I agree with this, and Meyer was perhaps a little insensitive, but that’s a far cry from fascism or claims that “Twilight” is destroying the culture of this tribe. The Quileute exist in the real world. Artists have the right to either make up things entirely or incorporate things from the real world. I just read a book that took place in Paris, and it didn’t portray Paris particularly well. Is that destroying French culture? Should the author have made up an imaginary city to host the events of the book? Sure Crichton was well within his rights, but that won’t stop me from considering him a jackass* and thinking of him as an amoral hack. No one claimed fascism – that was in reference to the concept of the “thought police” and no one claimed Twilight is destroying the tribe, only that there are negative consequences stemming from the book being centered around the tribe and that it’s not, like, totally unreasonable to point out how that affects the real world and has an historical precedent. But that’s art. The chunks of existing culture that artists incorporate into new works are not pure by any means, which makes it difficult to claim them as property. The Quileute’s modern interpretation of their culture is a mishmash of inter-tribal interactions and European influences that has proceeded for centuries. If we went back five hundred years, what would be different? Much. It’s not arrogance, this is how art progresses, idea by idea, piece by piece. you wouldn’t watch “Birth of a Nation” without also considering it in terms of the time and culture it was a part of. Funny that you mention this. It’s a good example of what I’m talking about. The film’s director, D.W. Griffith is recognized for his artistry and credited for creating the very first feature length film. Organizations like the National Film Preservation Board have defended the film for its “cultural, historical and aesthetic importance.” In other words, there is an absolute value to art, even in extremes like this. This is important. It’s not about whether or not the artist should incorporate ideas from other sources – even religious or cultural sources – it’s about whether or not they did, and how they put the pieces together. If using a real place or people fits the story or painting better, it’s used, plain and simple. when incorporating the cultural identity of any group into an outsider’s art, tread carefully, tread lightly, and tread respectfully. Art at its core isn’t about sensitivity to culture. Are the ideas that may or may not be connected to this culture useful in the final product of my work? Do they help me get my point across? Those are the questions asked. Serrano’s Piss Christ was brutally insensitive to any culture that reveres the crucifix. Was he wrong for being insensitive? Does he owe the Roman Catholics or the Jesuits an apology or a portion of the proceeds? I’m confused as to how Serrano, who was raised Roman Catholic, challenging Roman Catholic dogma is in any way comparable. Even then, was anyone surprised when Catholics got pissed off? Wasn’t that part of the point? Wasn’t part of the motivation behind “Piss Christ” to make people question why that kind of imagery raised so many emotions in so many people? Sure, artists can be as brutally insensitive as they want. You can make a virgin Mary out of elephant dung or draw a cartoon Mohamed with a bomb for a turban. But when people criticize it, you can’t just throw up your hands and declare “that’s art, it is above criticism”. We have to talk about these things. We have to understand how a history of colonialism plays out in modern depictions of native people. We have to discuss why these issues exist, why it’s valuable to recognize them, and why people get pissed off over them. Otherwise, what’s the point? What’s the point of what? Of creating art or of challenging modes of thought? They’re not inextricably tied or mutually exclusive. There are Very Large Books written in response to those questions. There’s not really a definitive answer, probably because the answer – if there is one – doesn’t really matter in the end. Nothing is above criticism. Art thrives on criticism. I’m not entirely sure where anyone’s thrown up their hands in this conversation. Just as art isn’t about sensitivity, it’s also not restricted to creating controversy. Meyer’s book is a good example of art as entertainment. It’s not her responsibility to teach. That’s your job if you choose to take advantage of the opportunity. But if this post was intended to do so, it falls short. Amy’s stance has changed since she initially wrote the post. She was asking for reparations or royalties, and now she’s not? It’s the reason I initially responded. It feels like a bait and switch to me. Regarding your comment below about privilege, it’s another word thrown around like fascism. It’s used so much on blogs that it’s lost meaning. We’re all making arguments from privilege, whether they’re based on art theory or anthropology. We’re all taking advantage of the boons of colonialism – the humanities and the sciences – and trying to cope with the blood under foot as we trod on in Western Civilization. Make sure that finger points both ways. going back through all the points in the original post and the comments, I can see no point where anyone asked for reparations, the original post noted that the neither town nor reservation had benefited much financially from the books and speculated that a tasteful response to the success of the book could come in several different flavors, several of which are financial. You didn’t feel the need to respond to the other potential responses, which included “”promoting already existing Quileute artists for those looking for an authentic bit of culture to take home? Or letting the Park Service create a “Twilight Trail” that hit the major attractions of the book that would be accessible to newbie hikers”. Surely if you produced a hugely successful work of art that borrowed whole-cloth from a specific group, you would consider returning some of that success to the group. You don’t have to, but that would make you a jackass*. On the bait and switch – I never advocated for monetary reparations and merely mentioned royalties as a possible way of acknowledging credit for use of cultural ideas. In fact, both myself and the author of the NYTimes piece advocate more for allowing the Quileute choice and first opportunity to make money off the Twilight craze as they are most directly affected. 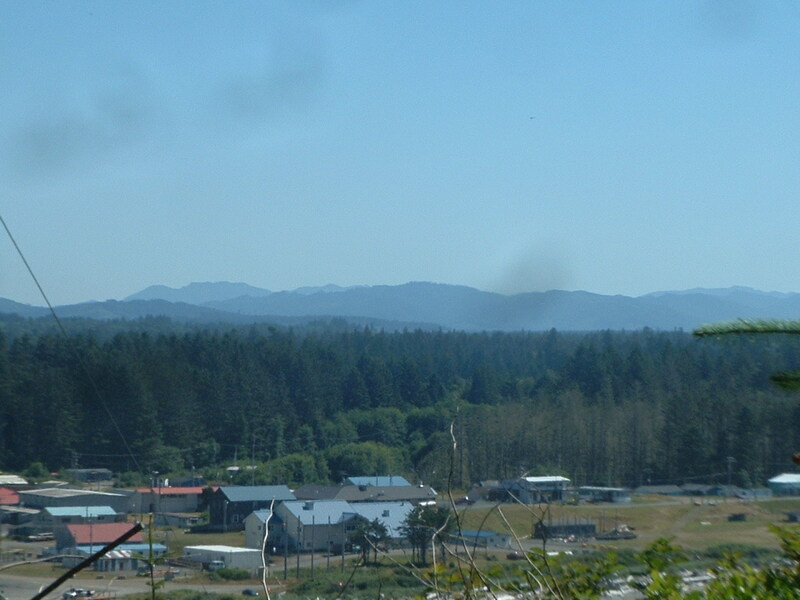 And as owners of the traditions, they deserve the chance to educate newly interested parties in true Quileute culture. Amy, you said what you said. If you didn’t mean it, I’m willing to accept that. We all write things online that we don’t exactly mean and it’s not a sin to recant. Also, I’m using the words royalties and reparations as describing entitled recompense, which was indeed suggested. I didn’t address the other suggestions because they’re good ideas. I never said otherwise. I think engaging Twilight tourists and giving them some substance and some genuine history is a wonderful idea, but again, that’s not Meyer’s responsibility. She created an opportunity to market to the influx of tourism. It’s up to administrators – as I said in my first post – to handle it. 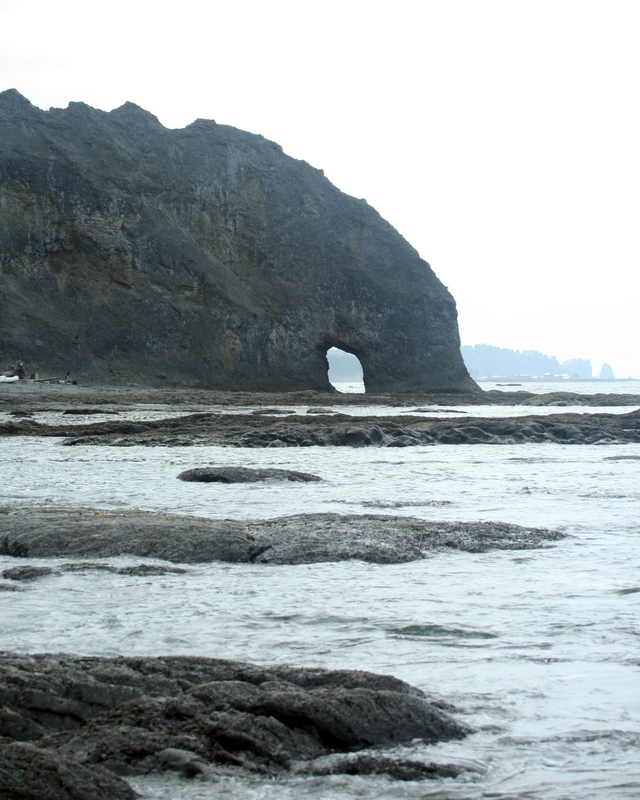 But in the process, if the expectation is that these tourists are to interact with the Quileute and come away with no desire to share and integrate the imagery and cultural influences they absorbed while they were there, you’re setting yourselves up for disappointment and disrupting the natural proliferation of ideas and artistry. Surely if you produced a hugely successful work of art that borrowed whole-cloth from a specific group, you would consider returning some of that success to the group. You don’t have to, but that would make you a turd-burglar. Didn’t actually know that about turd-buglar, my apologies if anyone was offended. Learned it in high school as the kid who accidentally barges into your stall. But man are you setting up a straw man. Saying “she didn’t feel compelled to give royalties” is not the same as saying “she should give royalties”. I don’t feel compelled to respond to your comments on fascism or privilege, nor should I.
Ok, so in reference to the copyrighting. In a tribal context it doesn’t exist and the concept of ownership over thought and creation would be considered absurd. So in reverence for the culture we’ve lost sight of one of the main components of indigenous or native cultures. Stories were freely told and retold, (which is how we know about any of this stuff) things were added over the years and their culture isn’t the same now as when it “began” if it even has a true beginning. I mean how far back do we go? Till we all have an African cultural heritage that’s been added to since we’ve spread over the world. Myers doesn’t owe anyone anything. She wrote a book. Is it a particularly good one? Not really to me, but I know people who really like it. In their fanmania maybe those same people who bought Twilight rain boots walked out into the woods on that reservation and had an experience that they wouldn’t have had elsewhere. Do they understand it like someone entrenched in it? No but they’re there. It’s the responsibility of those who live there to educate if they so choose, not the author’s. She wasn’t writing an anthropological non-fiction book, she was writing a fantasy. Fill in the holes for the fans if they’re receptive. But let them take it and do with it what they will. Closing point… it’s a fad. It will go away. It doesn’t even have the staying power of Harry Potter. In five years TOPS the frenzy will be over. I promise. – First, if people outside of a culture don’t borrow ideas, does that culture not exist? It’s a little like the tree in the forest making a noise paradox, which I feel like has been soundly answered. – Second, although undoubtedly Stephanie Meyer meant no harm to the Quileute people, she’s had a big effect. There’s no legal obligation to think of these impacts or to treat her book by ethnographic ethics, but the fans (and I’d be willing to bet that it lasts longer than 5 years, as two of the movies have yet to come out and new teenage girls come of age every year) learn everything about the nation through the book. Their visits to Forks, should they be able to afford such a thing, are completely encapsulated in Twilight mania. As of yet, there’s not a good informational presentation by the Quileute and no one has asked them to put something together. Hence, the issues we have discussed arose. My main point was basically one of missed opportunity. – Third, on ownership of thought and creation – the Quileute, and I would argue most cultures definitely feel ownership over their culture. I speak from experience working with the Quileute as a past Olympic National Park employee. The Park Service and local Forks residents made huge efforts to preserve the Quileute, Ho, Makah, Elwha, and Quinault cultures in the area, even at the cost of a) bringing down two dams, b) guaranteeing the tribes half the commercial fishery catch, c) forming a museum and hiring archaeologists to research and display artifacts from historic tribal lands. All of this is why social scientists use the term ‘cultural capital’. I agree with you that monetary payments in return for using or researching their culture is a bit absurd – but because it’s a completely inadequate way to recognize their contribution. You’re right, teens are going to be as fanatic about this particular work for 10, 20, even 50 years. I catch 12 year olds drooling on Donny Osmond posters all the time…right. They will move on to the next hot new romance and some other town will see a boom of interest, and when it’s over, the townies will go back to doing their own thing again. What I said has been said before, and it’s true. Putting indigenous culture in a bubble and allowing no one to touch, seems like just another western imposition. A cultural deadener, in that it stops natural progression within a culture. What if the Quileute wanted to destroy all their history and leave their lands? What if they wanted all of their artifacts to be destroyed and never be taught about ever again? Would you respect that? Do they really own their history then? If they didn’t want to do it anymore, someone would do it for them, right? So their culture is owned by everyone, and controlled by who is most interested. Ultimately trapped in whatever stage of development is most pretty and exotic to us. If you wall them off and they wall themselves off and allow no one to dip into their cultural waters for inspiration, the disservice is done on that end not on the artists. Unless you’re Gaughan. Giving syphilis to island native peoples isn’t very nice, but his paintings sure are. I appreciate lots of influences for my work, I love having infinite resources for creative ideas. I feel like I’m part of a web of human development that I can use however I want whenever I want. One of the reasons people relate so strongly to art is because they have a stream of association in relation to it. Ex: “I see a bear in that paint blob, my grandma took me to the zoo where I saw a bear, my grandma died, she smelled like roses, I like roses, I have some bath salts that smell like roses, I’m going to take a bath tonight” From a bear to a bath in 6 steps. Using symbols, iconography, and imagery that people have seen before as tools helps artists talk to people. Taking these tools away from artists limits our ability to do so. But regardless, artists have the right to paint, write, sing, dance, sculpt however we want, short of murdering people or animals and painting with their blood (well actually Mayans did both, is that a part of indigenous culture you would like to revive? )no matter if you approve of, or like it. That’s something no one can or should change. No matter how much you want it to. Comment editted as per Rule 5a. Twilight is a far cry from cultural preservation. Then it’s their choice. Would I approve of their decision? Perhaps not. But it’s not my place to say. Which, incidentally, is the same point as my original: it’s up to the Quileute to portray and preserve their culture. I’m also not advocating sticking the culture in a fishbowl and having everybody look on, that society frozen in time. It’s a living culture, perhaps not even for outside eyes to look upon. It’s up to the Quileute to decide how to develop – whether fan tourism, ecotourism, culturally inspired art, fisheries, or something else entirely is going to be the direction of their future. Really what I think is going on here is there are two sides approaching the same issue from a different framework. One side is arguing that indigenous people should have rights to their own cultural identity. Taking bits of cultural capital from a group and assimilating it into a different culture without regard to the effect it has on the culture being assimilated is disrespectful, destructive, and has both positive and negative repercussions for that culture which are independent of the desires of that group. And yeah, we think there’s something wrong with that. The other side is arguing that you can’t impose arbitrary limits on artistic expression. Artist are free to draw from the entirety of human experience in order to create. By saying “no, you can’t use that because it’s not yours” we are retarding the progress of art and society. And yeah, we think there’s something wrong with that. Overlayed on top of all that is a long history of this group of cultures having their iconography assimilated into the dominant culture in ways that are often use to villify, dehumanize, or trivialize them. So why can’t you draw inspiration from indigenous cultures while still being respectful of where that inspiration comes from and what it means to those people? I never said we should lock every culture in a bubble, but why do you get to take without giving back? I get back to my original statement – when incorporating the cultural identity of any group into an outsider’s art, tread carefully, tread lightly, and tread respectfully. As an example, while in Papua New Guinea me and a few colleagues had the chance to witness a very rare Duk Duk ceremony. When another colleague from PNG saw a picture of the ceremony in our lab, he was surprised because photographs are almost never allowed and very few outsiders ever get to witness the Duk Duk (even he had never seen one). But we had spent several hours talking with members of the tribe about what the Duk Duk was, what it meant to them, why it was so often closed to outsiders. We were ultimately invited to take a few photographs. Could we have gotten the same shots from a telephoto lens out of our truck? Sure, but the experience, and ultimately the images themselves are much richer for having been approached with respect for what we were seeing. And all it “cost” was a few hours spent learning and talking with people. Then read the last line of the wikipedia entry on the Duk Duk: http://en.wikipedia.org/wiki/Duk-Duk and ask yourself why perhaps a group would want to protect their own culture. You give back in your artists statement, (the words, explanation and justification for what you’ve done artistically) the “I was inspired by… I found beauty in… yada yada” Other than that, there’s no enforceable obligation. You HAVE to say where you got your ideas, or face the accusation of theft and get labeled a hack. As an artist the worst thing to be accused of is stealing. It’s tacky and mean to take without credit. Myers said where she got her ideas, so she gave credit. That’s all that’s technically required of her, if she feels some other obligation then that’s up to her. I understand where you’re both coming from, and I understand cultural, social, and sexual commodification, which are discussed heavily in every art history course I’ve taken. However it doesn’t really stop me (and it shouldn’t) from getting excited about how another culture represents things, and exploring that through my own work. You can’t take the prettiest colored crayons out of the box and tell me I can’t use them. But of course, as we’ve explored throughout this discussion, art becomes culture and culture becomes art. There’s no artist’s statement on the Washington Redskins logo or the indigenous designs on Vancouver Olympic merchandise. When these bits of culture get co-opted not to create a beautiful work of art, but as part of a marketing device primarily to generate revenue, do we then have a duty to return part of the proceeds to the culture we took the icon from? And I’m willing to bet when you encounter and are inspired to explore how another culture represents things through your own art you do stop, take some time to understand it and the culture that created it, and then proceed. Of course, but I’m not a slave to the culture as a result. Just because you understand something, doesn’t mean you have to be kind about it, when you represent. I’m not bound to the same cultural rules for representation that the people living in it are. I’m not Amish, so my use of their imagery is out of context, I’m putting it in a museum, which further takes it out of context, is it even the same after that? It’s twice removed now to be further removed when someone else sees it and works off of it. How far from the source till people no longer have a claim on this stuff? If I went to the tuk tuk dance and was struck by the colors and did giant abstract color paintings and said “this was inspired by the tuk tuk dance” would that be inappropriate? I’m not really getting what’s sacred and what’s not and I’m not getting how you can control what happens to stuff when it goes into my brain and comes out onto paper. I guess if you guys are making the claim that these things are untouchable by outside hands, you have the burden of proof. You tell me why. If all of this comes down to a “they have nothing else let them have just this one last thing” argument then I can’t go along with that. If it’s all tied to white liberal guilt and entitlement issues then I don’t have your back there either. Maybe there’s a disconnect. The photos you took aren’t art. And that’s not being mean, I’m sure they’re amazing, but they weren’t taken with a planned series of work and an idea in mind. They’re a photo record for you, yes you could frame them and yes they would probably sell like crazy, but unless you have intention and purpose in producing them, then they’re not art. Art isn’t just imagery. If I looked at your photos and heard your retelling of what they told you and then used your photos to create a series of duk duk paintings or sculptures, would that be wrong then? Baraka is a movie created from imagery of indigenous cultures and ceremony, including the duk duk dance, juxtaposed with modern societies and music. Was that wrong? They may not be art to us, but they are absolutely cultural capital to the Tolai. But now that we know about it, I’m not sure that they still “own” it. Again, if they no longer did the tuk tuk, I have no doubt that some “helpers” in the form of anthropologists, special interest groups, etc. would step in and keep the practice and display of ritual/imagery going in some form. To preserve it for all because of it’s value to people in general. What’s high art and everyman’s art, which is advertising and logos ie. consumable art, is always debated. High art comes with an artists statement, logos come on a package produced by big business. How socially responsible have big businesses been historically…? Depends on the business. The Redskins logo could be offensive, happy Italians dancing with salad dressing and concertinas could be as well. Sure, but this whole discussion began with how we appropriate parts of other cultures, not on the nature of art itself. For the purpose of what me and Amy have been talking about we’ve been working from the framework that cultural icons and imagery is the “art”. But that raises another interesting question, is there a difference in how you assimilated cultural capital if your intent is to produce the next “Gulf Stream” or just to have a smiling fisherman on your tuna label? What if I painted a Quileute, in a Gulf Stream, eating tuna? See now I have an image of a gulf stream eating tuna stuck in my head. To the photoshops! And you’re welcome for the extended discussion. Thanks to you guys too, nothing like kicking the dust off the noodles in my head. As someone whose last name is constantly misspelled, I feel the need to point out that the author of Twilight is Stephanie MEYER, not Myers. HA!!! Oops. Sorry there Stephipoops. Coming in late on this… but I must admit that the original commentator is correct. My husband and I take our kids to a National Park every summer. Last summer was The Olympic. Amazing to say the least. It happened that after we already had our plans in place that I caught wind of this book that I should read. Good book. I’ll admit that I couldn’t put it down. And then we got there and saw all of the commercialism to the place from it. It was really kind of embarrassing to watch. Here is this beautiful area that surpasses any NP we have been to so far, and they are degrading themselves to selling pop culture. We laughed at it, and then felt saddened by it. It took away from the scenery. HOWEVER, with that said, there were several little teenagers gooshing over the beauty of the place (some weren’t) but most were. So they came there to discover one thing and ended up discovering something much more significant, The Olympic Peninsula. They also were talking about the deforestation that they all saw on the way in, and how it sickened them. I myself was in tears at the sight of the mass dead wastelands that were all white and devoid of all life. So on one hand you could say that she helped to create a whole generation of very heartfelt environmentalist. If the Quileute Tribes and the town of Forks don’t want this commercialism, then by no means do they need to make it welcome. Tell them to do what some tribes here in Oklahoma do, post signs at all entry points stating that it is private property and that all trespassers are subject to being arrested or shot on sight. It’s there property. And no one can stop them doing it. They can send the bill to Stephanie Meyer explaining why they think it would be the honorable thing for her to reimburse them for expenses of the signs and any gating that may need to be put in place. If she is an honorable person, which I hear that she is, she will. The Quileute, by their own account; the quileute legends claim that they were transformed from wolves into the first Quileute people by a traveling transmuter named Q’wati. Perhaps , there is more than meets the eye here…or should I say fang in this case. In other words, his name wasn’t Carsisle or whatever (a transcendentalist philosopher in actual history) and it was wolves into humans, not the other way around. Also, it wasn’t an excuse for some fanfic about a girl falling in love with a sparkly marble statue, much to the vampire mafia’s chagrin (had to sneak that word in somewhere)…Dohohohohohohoho! I’d be OK with my town being associated with good literature (like Stratford, in England, or Cannary Row in California) but some lame teen novel in which the protagonist hates nearly ever human around her (i.e. the actual residents) and only goes for undead hellbeasts? Thanks for giving me another reason to hate twilight. Forgive me for what I just said if you’re smeyer, or a Twilight Fan. I just happen to not like Twilight, sort of like Stephen King, Mike Nelson, Pattinson, and a lot of guys, including Forks residents probably. Oh, and if you’re with team Jacob, you’re OK in my book, but I have some problems with non-ironic team-Edwarders.